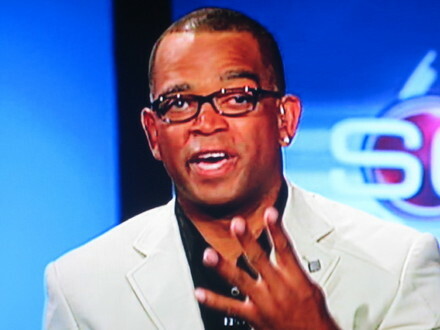 ESPN anchor Stuart Scott revealed some sad news on his twitter account on Monday, telling his followers that he has started his chemotherapy. "I start chemotherapy Monday," he tweeted. "I'll face it w my head held high. Nervous? A little fear? Yes. But love support prayer will c me thru." Scott was diagnosed with cancer in late 2007 and underwent chemotherapy in 2008. ESPN announced earlier this year that Scott will need to go through more chemo for an unspecified cancer. Prayers definitely go out to Stuart and his family as he embark on this journey. Stuart is my favorite ESPN personality. I wish him a speedy recovery. We're pulling for you, man. That explains why he hasn't looked well to me the past few weeks. I didn't know that he'd battled cancer before! Wow. He seems like such a nice guy.